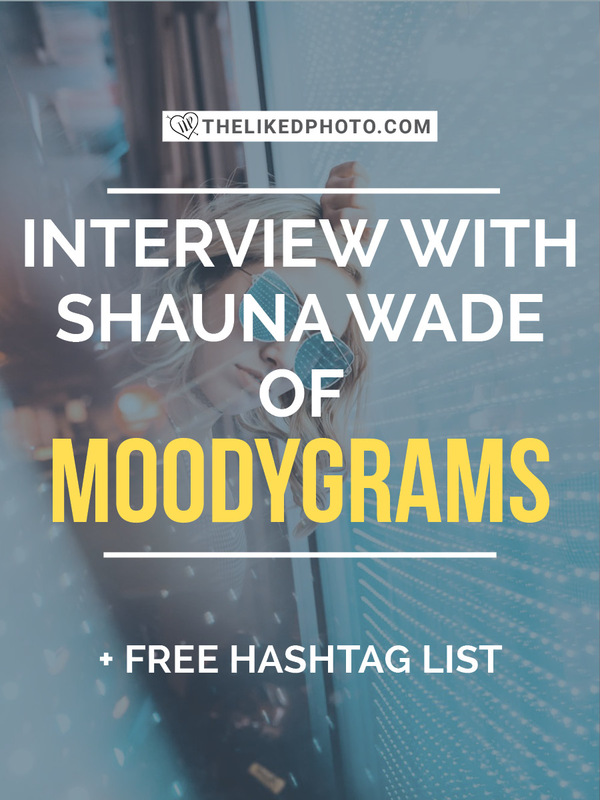 I recently had the honor of interviewing Shauna Wade, founder of MoodyGrams, a stunning photography-feature account on Instagram and I'm excited to share her story on The Liked Photo. This interview with Shauna goes to show that if you have an idea, nothing is impossible. No matter how many times you get shut down in the beginning or how many people laugh in your face, keep going, work hard and it will truly pay off in the end as it has for Moodygrams! Shauna: My name is Shauna Wade and I am from the beautiful island of Jamaica. Currently I work in the finance field, along with engaging in my passion for photography, whenever possible. TLP: How long ago did you start MoodyGrams? How long have you been a photographer yourself? Shauna: I started MoodyGrams back in July of 2015, so it’s been around now for about 1.5 years. As far as how long I’ve been shooting, I started out as an “iPhone only” shooter, then progressed from there are my passion grew, and have been “seriously” shooting now for a little over a year. TLP: What ignited the spark in you to start MoodyGrams and how did the idea come about? Shauna: I am a huge fan of “moody photography”, and at the time I noticed that most of the hubs around were mainly about ‘street’, really sharp and pronounced photos. And I am into the more subdued, faded, mellow type of photos. So, I figured I would start a page to showcase those photos, and get (at least) my friends to support it, if no one else would. So I started a page, at first I called it “MoodyKillers”, lol. Then, I rethought the name after gaining some information and came up with the name “MoodyGrams”, after. TLP: What have been some of your failures, and what have you learned from them? Shauna: I wouldn’t really call them failures, I would like to call them learning experiences. One main thing I learned is that despite what people may say (and people can be so despicably rude and callous), or how discouraged I may get… I have to just push past it and work hard to complete my goals. TLP: Did you have any other ideas for feature accounts before MoodyGrams? Shauna: I did not. I really just started Moody to help unknown photographers to get their work seen by more people, and to just showcase beautiful moody photography, since it was what I was into. So, it wasn’t really a plan I had where I sat and thought about making a page, then thought about what to make the theme about. I genuinely love moody photography, and wanted to create a page that embodied that- while helping others to get their work out there. TLP: How many hours do you put into the MoodyGrams account and your personal account per day on average? Shauna: Moody gets more of my time than my personal page does, and the engagement on my page has suffered for it, lol. But to me it’s all worth to see the success Moody has become. I honestly can’t say how many hours, because I don’t keep track, and I do have a 9-5 job that takes up most of my day, but I do get on as often as I can, to scout new talent and awesome moody photography. Shauna: What motivates me is my want to succeed, plain and simple. I want to grow in my craft and be successful at it. TLP: How do you generate new ideas as a photographer? Shauna: There are a few people/places I look to for inspiration to build off of and create my own ideas. I like to travel a lot, seeing and being in different places and getting different perspectives, helps me to expand and think outside of the box more. Currently I look to other photographers for portrait inspiration, as I am currently gaining more interest in shooting portraiture. TLP: What is your favorite aspect of being a founder of a major Instagram hub? Shauna: I am still, at times, in disbelief that I founded something that so many people look to for inspiration. I am extremely humbled. My favorite aspect is the feeling of gratitude I get from the people I feature, or help to get their work out there. It’s truly a humbling experience and it warms my heart every time someone thanks me for featuring them. TLP: In the beginning, How did you go about marketing the page? Did it happen quickly or slowly? Shauna: In the beginning, I asked all my friends for support. I also knew a few people with larger accounts, who I asked to support the hashtag, and they did. I also asked people to use the hashtag on their photos (I got laughed at by many people, which was a bit discouraging) but hard work pays off. I also asked Adam (founder of AGameofTones, and now a good friend of mine) to be a “partner”. I got turned down initially (lol), but he was kind enough to give me some pointers to steer me in the right direction. So, those things coupled with my vision of how I wanted Moody to be, helped to propel it rather quickly. TLP: What other hubs or IG accounts do you admire or get inspiration from? Shauna: There are a few hubs I admired initially- AGameofTones, Way2ill, InstaGood. I liked the different aspects of what they featured, and those accounts were what made me want to do something different in line with what I loved. TLP: Where do you see MoodyGrams in the next few years? Do you want to take the business even further or let the account grow organically? Shauna: I honestly do not know, but I can tell you that it will definitely by bigger than it is now, and offering more as well. Moody has always been growing organically, there are no additives, so to speak. But yes, I am definitely going to take it further, to be able to offer the community more than just IG features. TLP: What three pieces of advice would you give to other photographers and Instagramers? Shauna: Three pieces of advice- Keep shooting, work hard, and stay humble! Can’t tell you how many people I’ve seen throw their humility aside under IG influence. So not worth it in the end. Thanks so much, Shauna for agreeing to be interviewed!